Well, you can order it at least. The release date is set to late April or early May and the stores will start shipping based on the order in which they were paid. What Will the New DJI Phantom 3 Bring to the Table? 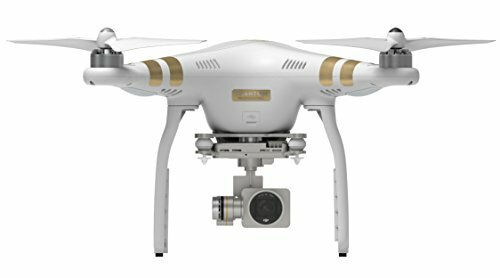 First of all it will be released in two different versions: DJI Phantom 3 Professional Quadcopter Drone with 4K UHD Video Camera and the DJI Phantom 3 Advanced Quadcopter Drone with 1080p HD Video Camera. There are only two differences. The main difference is that the Professional version has better capabilities for shooting video; Phantom Professional shoots 4K footage at up to 30 fps while the Phantom Advanced shoots at 1080p. The second difference is in charge time, the Phantom Professional has a more powerful charger, a 100 watt charger, vs the 57 watt charger of the Advanced. This is of course practical, but the main selling point of the Professional is the better video capabilities. What Else Can I Expect From the Phantom 3? When it comes to photography they both have the same capabilities, a 12 megapixel camera. There is a 3-axis integrated stabilization gimbal, which keeps the drone stable, making it easier for you to shoot smooth video. You can get live streaming of 720p video, stable indoor flight and live viewing and camera control with the DJI Pilot app. Both versions of the Phantom 3 have the same flight time of around 25 minutes, which is the same as the newer versions of the Phantom 2. 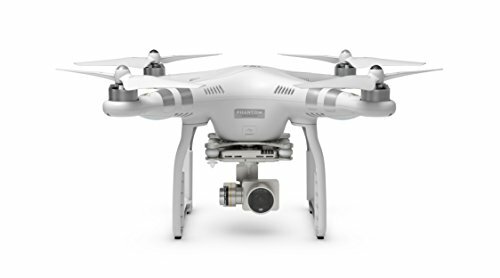 DJI is now using their Lightbridge technology to allow live 720p digital HD streaming from the Phantom 3. You are able to see the video and control the camera in real time, and you can use DJI Pilot app to share the video. It is also easier than before to fly indoors, Phantom 3 includes improved vision positioning for indoor flight. That is all I know at the moment, but I look forward to reviewing both versions of the Phantom 3 after their release.